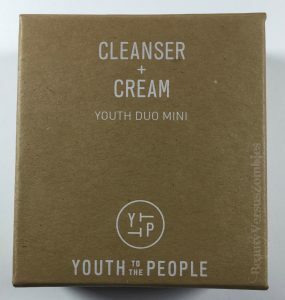 The Youth to the People Youth Duo Mini comes in a small cardboard box. 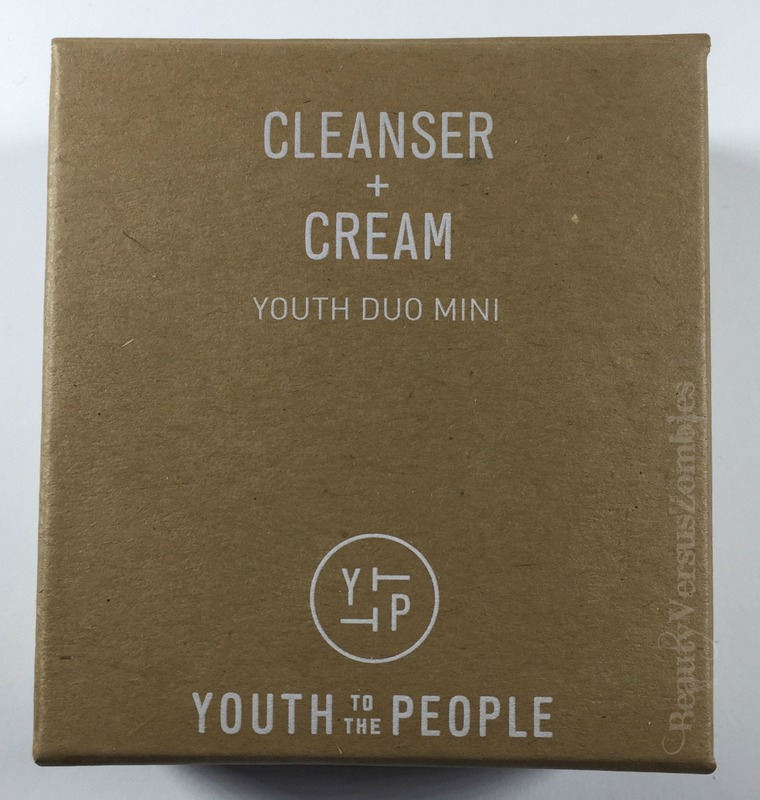 There are two products inside: the Kale + Green Tea Spinach Vitamins anti-aging cleanser, and the Kale + Spinach Green Tea Hyaluronic Acid cream. The two are securely packed inside the bardboard box. This deluxe sample comes in a really nice glass bottle. It’s got a screw-top cap. I don’t like that in a cleanser – I find it difficult to get the right amount of product out from just a bottle. However, I see that the full-size cleanser comes with a pump, so I can’t really fault a deluxe sample for not having all the packaging benefits of the full-size. My brain is classifying the smell of this cleanser as “vegetable”. Not surprising, given the fact that it’s literally named after two vegetables and green tea. It’s not pleasant to me, but it’s not really unpleasant either. This cleanser doesn’t foam much at all. It also doesn’t do what I’d call a phenomenal job of cleansing, either. It may be good enough for a second cleanse, but it definitely won’t do well with more stubborn makeup. 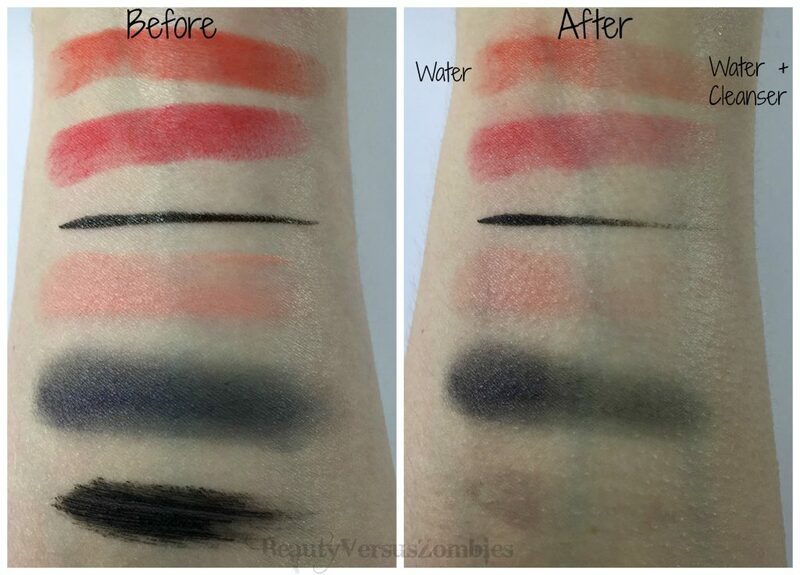 As a test, I made the following swatches on my forearm: two matte lipsticks, my Kat von D Tattoo Liner, a Bbia cream blush, a Mac Paint Pot in Imaginary, and Urban Decay’s Perversion mascara. I let them sit for a minute or two. 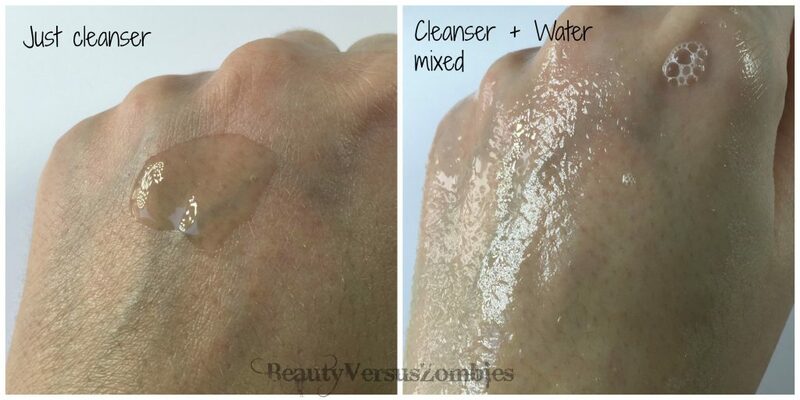 Then I put the cleanser on half of my arm and washed it in the sink. Keep in mind that I was probably a little rougher when cleansing my forearm than I would be when cleansing my face. 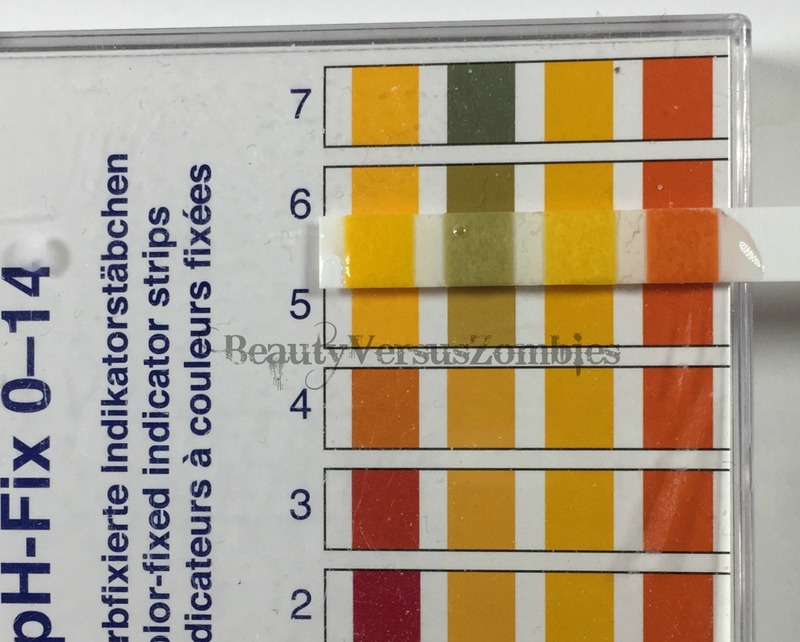 The cleanser has a pH right around 6. That’s higher than my preference, but it’s not awful. Not enough that I’d stop using it for that reason alone, anyway. I didn’t feel that this cleanser left a film on my face or dried it out badly, but it didn’t feel moisturizing either. I think part of that (and really, part of why cleansers almost never feel moisturizing to me) is that I take showers that are way longer than they probably should be, with hot water, and whoops there goes all my skin’s natural oils. Ingredients (courtesy of Sephora): Water, Sodium Cocoyl Glutamate, Cocamidopropyl Betaine, Panthenol (Vitamin B5), Tocopheryl Acetate (Vitamin E), Retinyl Palmitate (Vitamin A) Ascorbic Acid (Vitamin C), Brassica Oleracea (Kale) Leaf Extract, Spinacea Oleracea (Spinach) Leaf Extract, Camellia Sinensis (Green Tea) Leaf Extract, Aloe Barbadensis (Aloe Vera) Leaf Extract, Chamomilla Recutita (Matricaria) Flower Extract, Medicago Sativa (Alfalfa) Extract, Brassica Oleracea (Kale) Leaf Oil, Polysorbate 20, Hydroxypropyl Methylcellulose, Phenoxyethanol, Potassium Sorbate. The ingredient I’m most concerned about is the Retinyl Palmitate. When I ran this ingredients list through CosDNA, Retinyl Palmitate came back with a safety label of 9. That is literally the top of the safety warning list. A quick Wikipedia check tells me that there has been some controversy with respect to whether it’s carcinogenic, but that was specifically in sunscreens. I’m not exactly sure what to do with that information, and to be frank having an ingredient with a safety rating of 9 makes me hesitate to use a product. 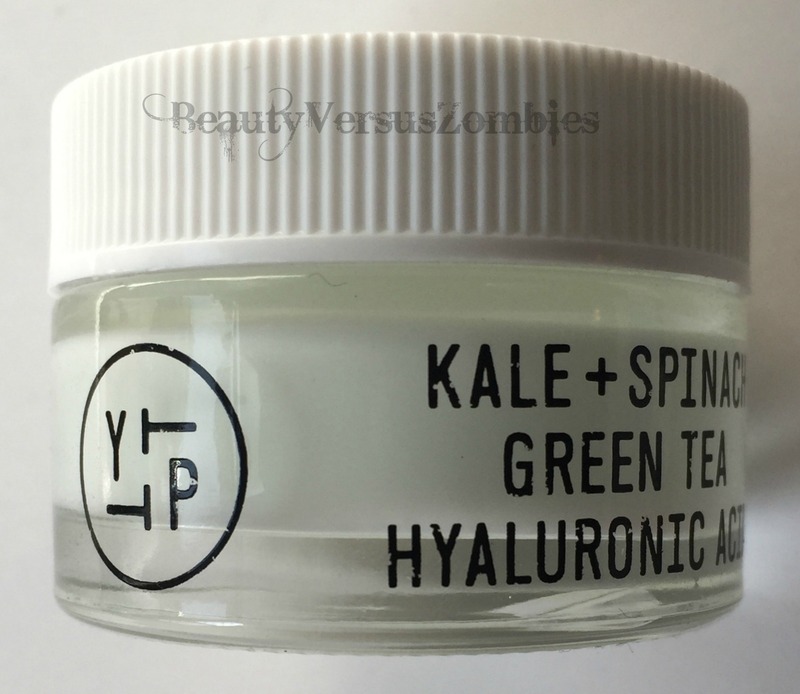 Like the cleanser, this cream is in a beautiful glass jar. It didn’t come with a spatula. I can’t tell whether the full size does or not, so if you’re concerned about that sort of thing, you’ll need to purchase a spatula elsewhere. Or sanitize one from another product. Whatever works. This container is pretty sturdy – I actually dropped it on the floor once from two feet or so, and nothing happened. Which is good, because I’d have been mad if I’d ruined my testing because of my clumsiness. The Youth to the People Kale + Spinach Green Tea Hyaluronic Acid Age Prevention Cream (that name is too long) is a very watery cream. I like that. Now that I’m not doing Curology anymore, my skin has reverted back to its normal oil slick ways, so I have to be careful about using products that are too rich or heavy. Like the cleanser, this smells vaguely vegetable-like, but not in a gross way. Just quietly like maybe spinach or something. (Don’t ask me, I hate vegetables. I eat lots of fruit.) 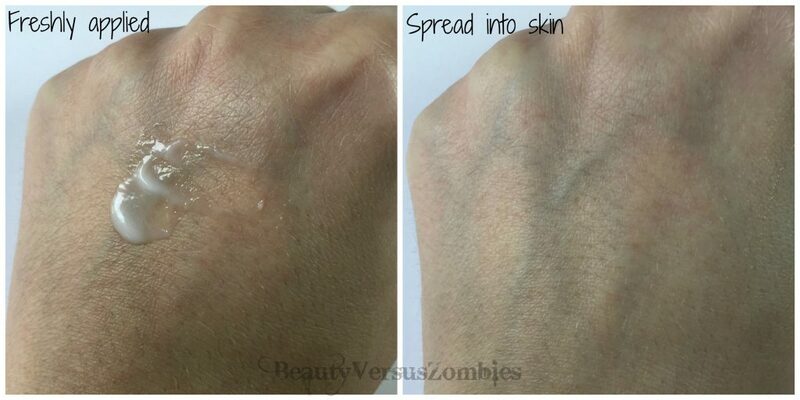 It spreads very easily over the skin and absorbs insanely quickly. After I apply the lotion, my skin feels nicely moisturized but not overly so. It’s not greasy or oily. I haven’t noticed excessive shine on my t-zone at midday either, which usually happens when I use a cream that’s too heavy. That tells me that this is a decent cream for folks who are oily or combination. If you have dry skin, this likely will not be enough for you. Ingredients: Water, Sodium Cocoyl Glutamate, Cocamidopropyl Betaine, Panthenol (Vitamin B5), Tocopheryl Acetate (Vitamin E), Retinyl Palmitate (Vitamin A) Ascorbic Acid (Vitamin C), Brassica Oleracea (Kale) Leaf Extract, Spinacea Oleracea (Spinach) Leaf Extract, Camellia Sinensis (Green Tea) Leaf Extract, Aloe Barbadensis (Aloe Vera) Leaf Extract, Chamomilla Recutita (Matricaria) Flower Extract, Medicago Sativa (Alfalfa) Extract, Brassica Oleracea (Kale) Leaf Oil, Polysorbate 20, Hydroxypropyl Methylcellulose, Phenoxyethanol, Potassium Sorbate. Again we have the Retinyl Palmitate. I don’t know what to say, man. I hate that it’s here, or at least I do until someone better at chemistry than I am tells me it’s okay to put that on my face. Based on how indifferent I was to the cleanser, I was not expecting to like this cream as much as I do. If I weren’t relentlessly in pursuit of the next most fabulous thing (and there wasn’t that retinyl palmitate thing happening) I would likely purchase a full size of this product. Well done, Youth to the People. The Youth to the People set can be purchased at Sephora or from the brand website for $20. You can also pick it up at Dermstore. 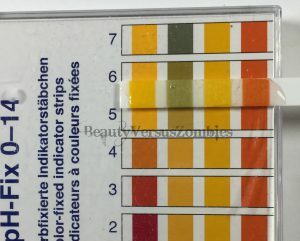 This entry was posted in cleanser, cream, deluxe samples, Youth to the People and tagged first impression, minireview, skincare by BeautyVersusZombies. Bookmark the permalink.